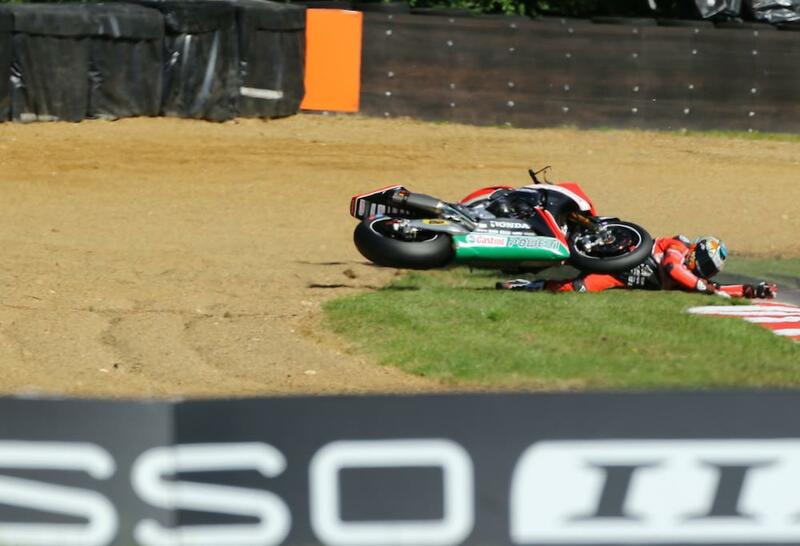 Jason O’Halloran became the first rider to crash on their one-lap Superpole flier at Brands today, missing out on what could have been pole position for the Honda rider. O’Halloran was up on Luke Mossey’s eventual pole time when he tucked the front in this afternoon’s Superpole session, meaning he’ll start tomorrow’s opening race from ninth on the grid. The crash brought a sour end to a positive day for the Aussie, who has consistently been one of the fastest men around the Brands Hatch circuit this weekend. Looking like one of very few who may be able to take it to a dominant Shane Byrne in tomorrow’s races, O’Halloran will now have his work cut out in the opening encounter as he starts from the third row of the grid. “It was a bad end to a really good day to be honest, I felt really good in FP3 and went into qualifying the most relaxed I’ve been for a while, we made it through Q1 pretty easily and Q2 went pretty well,” he said. “Going into Superpole I felt good and thought we had a good setting. I was obviously pushing hard to make sure we got a front row start for tomorrow but unfortunately crashed in the second to last corner, so there’s a bit of work for the boys to do tonight and a bit of work for me to do tomorrow starting from ninth. So it’s a bitter end to a good day!